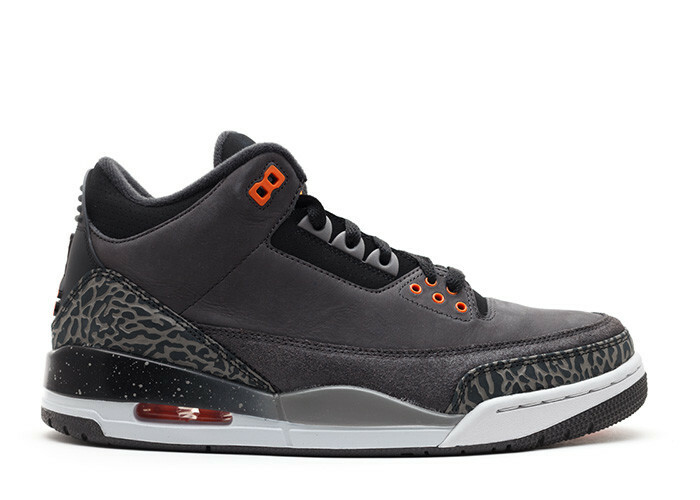 This all new Air Jordan 3 color way is part of the Air Jordan Fear Pack and sports a primarily dark color way. Black and Neutral Gray make up the majority of this sneaker while a White / Gray and Black gradient midsole provides contrast. Total Orange accents finish off this sneaker on the eyelets, outsole, and Jumpman.